Goodreads says, "Ghosts are everywhere, not just the ghost of Momma in the woods, but ghosts of us too, what we used to be like in those long summers . . . Amber Alton knows that the hours pass differently at Black Rabbit Hall, her London family’s country estate, where no two clocks read the same. Summers there are perfect, timeless. Not much ever happens. Until, of course, it does. More than three decades later, Lorna is determined to be married within the grand, ivy-covered walls of Pencraw Hall, known as Black Rabbit Hall among the locals. But as she’s drawn deeper into the overgrown grounds, half-buried memories of her mother begin to surface and Lorna soon finds herself ensnared within the manor’s labyrinthine history, overcome with an insatiable need for answers about her own past and that of the once-happy family whose memory still haunts the estate. Stunning and atmospheric, this debut novel is a thrilling spiral into the hearts of two women separated by decades but inescapably linked by the dark and tangled secrets of Black Rabbit Hall." Black Rabbit Hall is a remote country estate in rustic Cornwall, England; a place where the Alton family can escape the city of London in the 1960s. Nancy, a wife and mother, is recovering from an accident there along with their children, but couldn't be happier as she loves Cornwall. It's a place where the children can explore the woods, the sea, and simply run free despite the fact that the home needs a bit of work. Nancy and her husband, Hugo, are very much in love, but all of this is cut short when Nancy unexpectedly dies. This leaves the Alton family very much scarred and unable to recover. Enter Hugo's longtime friend, Caroline Shawcross, who somehow puts herself into their lives, along with her son, and the consequences are troubling. None of the Alton children like Caroline, but they can't seem to get her away from their father. Fast forward to present day and readers learn about Lorna and Jon, a newly engaged couple that are looking for a place to tie the knot. Lorna would love to get married at Black Rabbit Hall, but Jon thinks it's too run down and remote. For Lorna, it reminds her of her a place her deceased mother would love and she is entranced with it despite its many downfalls. 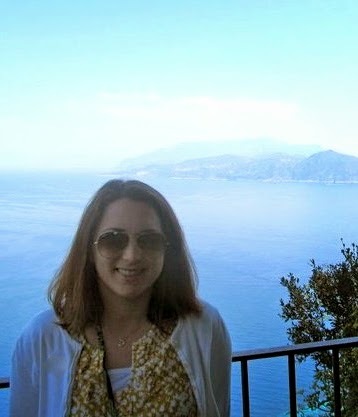 In fact, she is invited to stay for a few nights to see if it's a place she would enjoy, much to Jon's dismay. Slowly, Eve Chase weaves a tale that combines both the Alton's story as well as Lorna's; family secrets are slowly revealed all while under the watchful eye of Black Rabbit Hall. Fans of Gothic stories drenched in atmosphere will enjoy this dark debut. I immediately liked the eldest daughter Amber and felt badly for her when her mother died as she was left to pick up the pieces in Black Rabbit Hall. She spends a lot of time worrying about her twin brother, Toby, as well as her younger siblings. When Caroline and her son, Lucien, enter Amber's life, it isn't good. Caroline is an ice queen, but Amber is trying to play the peacemaker in their family. It's a tough situation, especially when she starts hanging out with Lucien and realizes he may not be all that bad. Caroline Shawcross is the usual horrible stepmother in Black Rabbit Hall. I wish Chase would have developed her a bit more, as readers really don't get to know her too well. She's very surface level. I would have definitely liked to get into her mind more. The character of Lorna was also intriguing in Black Rabbit Hall. She was completely obsessed with Black Rabbit Hall and drawn to it. 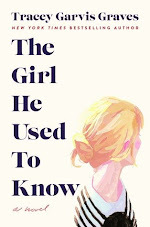 Slowly readers find out why this is and secrets from her past come to the surface. Chase did a good job of keeping us guessing as to how Lorna's story related to the Alton's. This book reminded me of a Kate Morton novel in this aspect. The setting of Cornwall was really well done and Chase does a great job creating a dark and foreboding atmosphere in Black Rabbit Hall. The Gothic vibe to this story was one of the best parts of this book. I liked that Chase combined historical fiction, mystery and a contemporary story seamlessly. Chase is one debut author I am definitely going to keep my eye on. 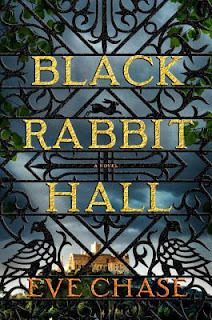 Thanks to Putnam, I am giving away a copy of Black Rabbit Hall to one lucky US reader. The giveaway's deadline is April 3rd and please refer to my giveaway rules. Good luck! This sounds really good. I like reading books with dual story lines and family secrets. The setting is appealing too and I love that cover. Great review! I will have to get this from the library sometime because I think I'd really enjoy it. I think you'd like this book, Christina! I can't wait to hear your thoughts. Thanks for visiting! Me too, Jenny. I heard great things about Devil and the Deep Blue Sea--I should add that to my TBR. Thanks for visiting!